Sagliani puts a new twist on an old premise by setting this zombie thriller in Las Vegas and focusing on a ragtag group of college students one character accurately describes as “a twisted version of the Breakfast Club”. Headed by an ex-military conspiracy theorist, they must traverse the city of sin to find safety. The Rising Dead is a quick and fun read for the right reader. Since the characters are college students, much of their interaction involves popular culture and internet references. The plot also delves into government conspiracy theories which may or may not be to your taste. Still, the dialogue is snappy and the action nonstop. Sagliani creates distinct, exciting characters that stick with the reader well after the novel is finished. 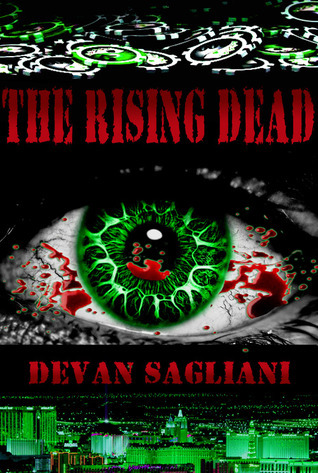 The Rising Dead is available on Amazon and Smashwords for an absolute steal of $.99. If you’re a prime member, you can borrow The Rising Dead free. If you like Devan Sagliani’s take on zombies, he also has another book Zombie Attack! Rise of the Hoard available.